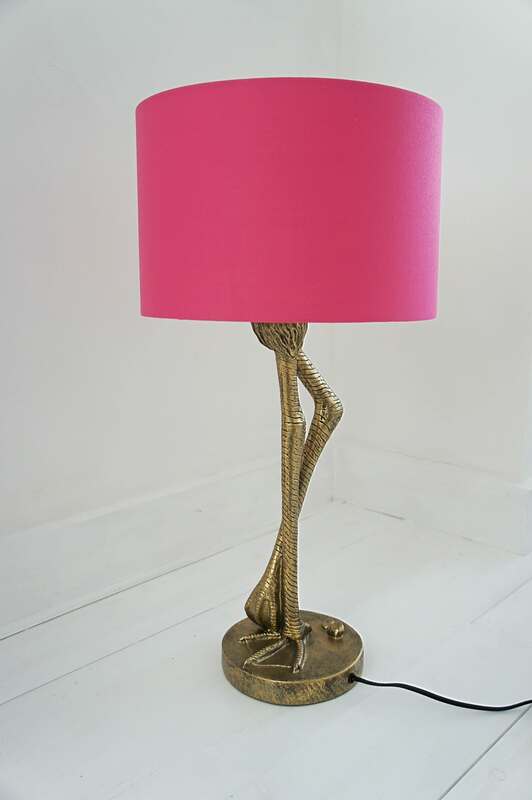 This gorgeous Antiqued Gold Flamingo Leg Table Lamp is sure to turn heads, with its bright pink shade and stylish flamingo legs as its stand. The unusual lamp is a statement piece and would look great in a variety of interiors. Inle Home in East Sussex, United Kingdom.